If you asked your kids who their superhero is, what do you think they’d say? Iron Man? Doctor Who? Well, according to a new survey by Novotel, while the likes of Spiderman, Superman and Batman are all popular with our kids, more than a third of children actually think their mum or dad are superheroes. Isn’t that fab? I don’t have any particular special powers although I did encourage No 1 Son to always tell the truth when he was younger by a) pretending I had X-Ray vision and b) that I had a hotline to Santa and the ‘Naughty List’ *cough*; but I love the idea that children think their parents are superheroes. Because if you think about it, we are; we make sure they’re always cuddled and fed, do our best to protect them from harm, we read them stories and ferry them from this club to that club, and we’re always, always there for them in their hour of need. Plus I think encouraging your child to see you as a superhero is a much more positive way of encouraging them to tell the truth, rather than making threats. 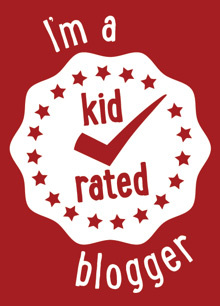 As long as you actually ‘fess up when they’re older, of course, otherwise it could get awkward. 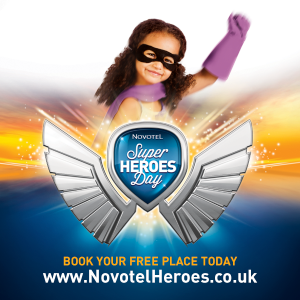 Anyway, to celebrate all the superhero mums and dads around the country Novotel are holding a free ‘Super Heroes Day’ across their 33 hotels in the UK on Saturday 21 February and they invited me to tell you about it. Parents who are looking for a fun and free half term day out with their kids (ages 5-11) can enjoy activities ranging from learning to how to save the planet, discovering which food types give them their energy for their super powers and finding out where their crafty imaginations take them. It promises to be a really fab free day out, but spaces are limited so if you want to book or visit more go to novotelheroes.